This kit is for the NON-AVCS version. Let’s say you've ever torn down a Subaru engine. If you have then chances are pretty darn good that you've rounded off the allen fitting in the stock cam pulley bolts. Your next step is something extreme like drilling out the head, using an ez out or welding a nut onto the bolt so you have something decent to grip. The Best Option is new bolts!! Real bolts!! Bolts with a proper 17mm hex head on it. Bolts you can get a real socket on and use some real force! A perfect and simple solution to help cure the ills of an imperfect and complicated world. 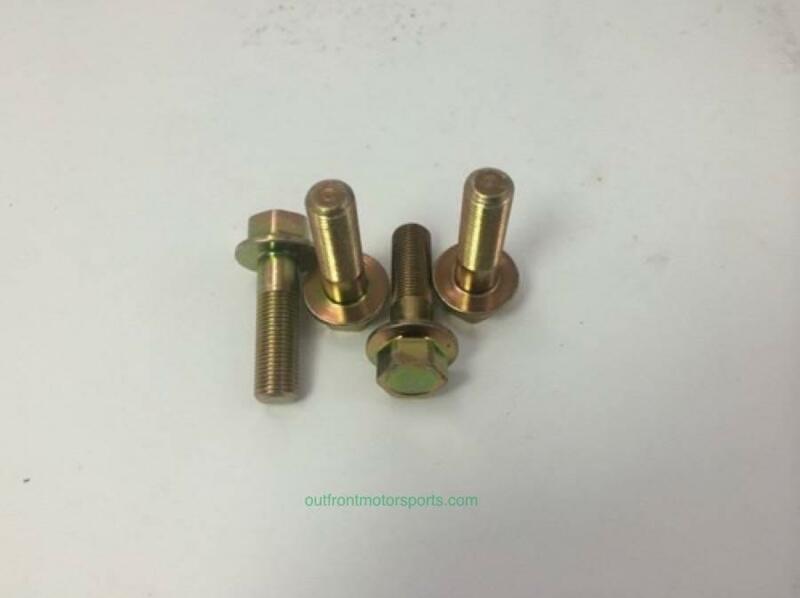 Bottom line is this - if you're rebuilding a Subaru engine then you're going to want these bolts! This kit is for the NON-AVCS version. That means you guys who have cars with NO AVCS you'll want this kit. It'll get you four NON-AVCS bolts for your cam pulleys.